I am foremost a mom who loves to write. 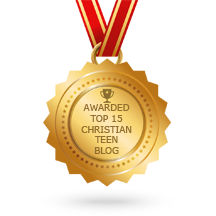 My passion is writing a support blog for parents of troubled and hurting teens at AnchorOfPromise.com. When I'm not writing, I am sharing my life with my family, our beloved furry friends and spending times in fellowship with close friends. Teens Blog SF73 How Are You Going to Celebrate Christmas? Teens Blog SF66 Are Demons Real and Can They Harm You?